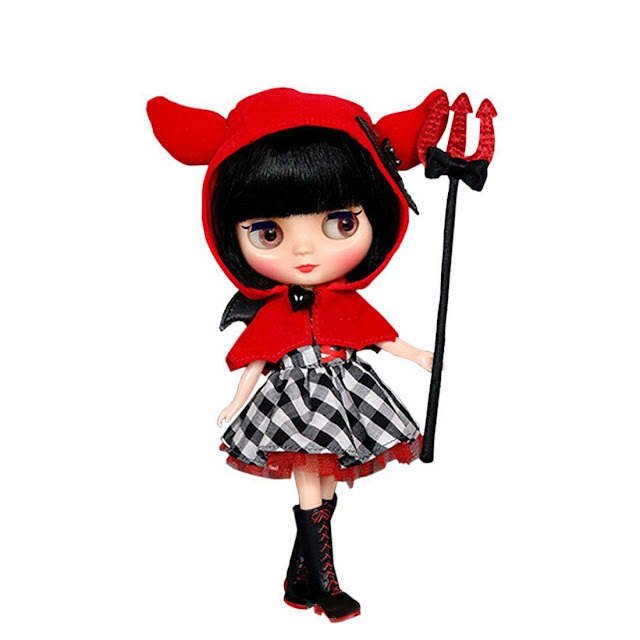 Just in time for Halloween, the Japanese doll company, Blythe, released "Cute Little Dee," a devil-themed Middie Blythe doll. "Cute Little Dee" wears a black and white gingham dress, a red cape, and darling little bat wings. She carries, of course, a wee pitchfork. This doll came out in late September and currently is selling on eBay and on Junie Moon.